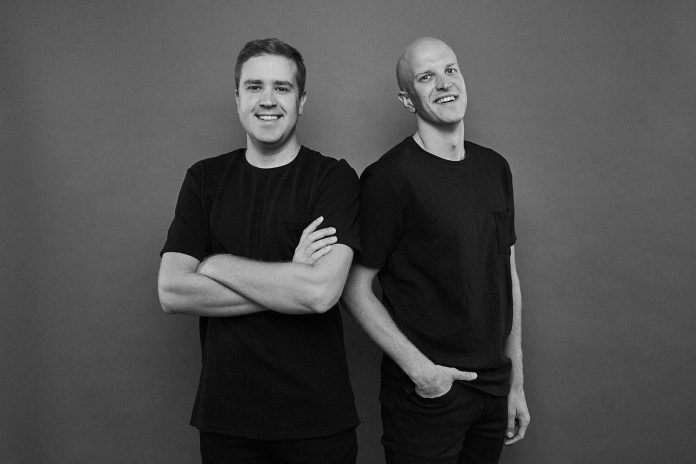 With music in their family background, it’s no surprise Swedish brothers Jacob and Victor Andersson have seen success as producing duo ManyFew. Their hit original tracks have gained them a growing following, accumulating over 2.6 million streams on Spotify for their song “Don’t Miss You” alone. They’re not slowing down in 2018 with their new song “Where To Go,” solidifying their status in the electronic landscape. You can purchase their newest track here. ManyFew spoke with Four Over Four about growing up together, their new track, and life in Sweden. Congrats on your new single! Can you tell us the inspiration behind it? Thank you so much! We felt the urge to make a piano-driven track with a disco feeling in the chorus. We listen to a wide range of musical genres. For example, we like to listen to a mix of ’90s house, funk to urban, and today’s pop music. I think we got a lot of inspiration from there. It wasn’t one particular track that inspired us to make “Where To Go,” but we got a bit inspiration from all over the place! How did the two of you get into making music? Well, we got into music pretty early. We were influenced by the music taste of our family; our uncle was a DJ in Sweden and he inspired us. We started DJing at local clubs and later on we made a couple of our own tracks and really enjoyed producing. We started sending those tracks out to some DJs & A&Rs and received good feedback, and that inspired us to spend more time in the studio. Do you think being self-taught makes a difference in how you approach producing? Yes! For us, there are no rules when we produce music, we always try to have that mentality. Since we are self-taught, no one has been able to tell us what’s wrong or what’s right. We have always had the artistic freedom to try things out in the way we want to and that makes us more creative! What’s it been like producing as brothers? Is there any sibling rivalry? For us it’s teamwork :-). Producing as brothers works great, we have both the same love for music and like the same style! We also know each other so well, and that is definitely a plus when we produce! We compliment each other in the studio and are not feeling any rivalry at all. It’s just fun to work together and make music as a team. Your sound has old-school disco and funk influences. Do you have artists that influence you both? Do you guys have different tastes from each other, or do you share favorites? Actually, we share the same favorites. We have always been fans of old-school disco and funk music and are also fascinated by pop. We love listening to different styles of music and that gives us inspiration and new ideas, including everything from Swedish pop music to international top hit tunes. Some artists that influence us are Earth Wind & Fire, Luther Vandross, Phil Collins, Phats & Small, Armand van Helden, Junior Jack, Freemasons, Axwell, Rihanna, Alicia Keys and many more. Actually last year Freemasons supported our single “Feel Good” which featured Twiggy, and that was amazing! We’ve listened to a lot of their music and receiving support from them was definitely a great feeling. How is the music scene in Stockholm? How long have you been based there? It’s great and very inspiring. Many top DJs, electronic producers, and pop producers are living in Stockholm and that creates a good atmosphere and inspires us to work hard. It feels like the electronic music scene is growing here. We are born and raised in the southern part of Sweden and have been based in Stockholm for around ten years now. Last year was a good year! 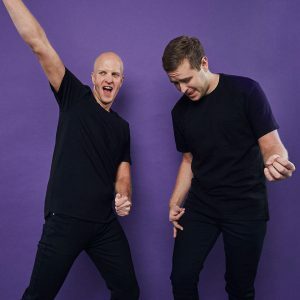 We released our first official single as ManyFew and our song “Feel Good,” featuring Twiggy, received great support from DJs like Lost Frequencies, Thomas Gold, Freemasons, and Maximals just to name a few. We have a lot of exciting stuff coming up in 2018. We’re working on new music and have several releases coming up this year. Also we’ve our radio show Electronic Heaven, and the first official show for 2018 is out now on our SoundCloud page. So we’re really excited for what’s to come next.